Centrally located, the Vaughn Library is home to study areas, computer labs, research assistants, tutoring, the writing center, Quest classroom and our very own Starbucks. The mission of Vaughn Library is to provide effective learning resource services that support the educational purposes of Tyler Junior College as set forth in the mission statement of the college. In keeping with that commitment, Vaughn Library recognizes its purpose to serve as an instrument of the total educational program. 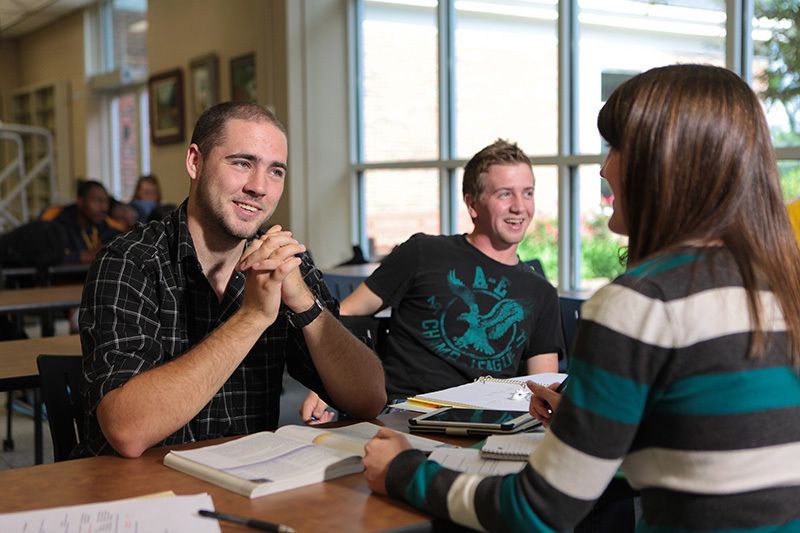 The Library supports the academic programs of the college by providing a well-organized and current collection of reference materials, print materials, audiovisual materials, and electronic resources. In addition, it provides services and technology to meet the needs of its patrons - faculty, staff, students, community users, and consortia users. Additionally, the Library has a community orientation and a commitment to helping meet the needs of business and industry in a changing global environment. Finally, Vaughn Library embraces the challenge of providing access to information and opportunities for lifelong learning. Monday – Thursday: 7:30 a.m. to 11:30 p.m.
Vaughn Library will close at 5:00 p.m. on Thursday, April 18 and will remain closed through Good Friday (April 19) and Easter (April 21). The library will re-open at 7:30 a.m. on Monday (April 22). Chat will also be down during these times. Announcing the arrival of OverDrive – a way to borrow eBooks and audiobooks free from Vaughn Library! Install the free OverDrive app and enjoy digital titles from our library on your tablet or smart phone. OverDrive is also available via all web browsers on devices, including computers (Windows & Mac). Visit http://help.overdrive.com to learn more about getting started and for troubleshooting help.